Already tired of summer TV offerings from the major networks? Then, you're in luck because the Timeless Media Group will release all six seasons of Roger Moore's The Saint in a deluxe DVD set on May 26th. If you watched one of the 118 episodes each day, that would kept you busy through the summer! Author Leslie Charteris introduced Simon Templar in his 1928 novel Meet the Tiger, though he considered the short-story collection Enter the Saint (1930) to be Templar's literary introduction. Sometimes labeled the "Robin Hood of modern crime," Templar traveled the globe to deal with gun-runners, corrupt officials, gangsters, and spies. He collected "fees" from the bad guys, keeping some of the money and returning the rest to its owners or donating it to charity. His nickname, The Saint, was derived from his initials S.T. and his calling card featured a stick figure with a halo. Charteris wrotes dozens of Saint short stories and a handful of novels from 1928 to 1964. 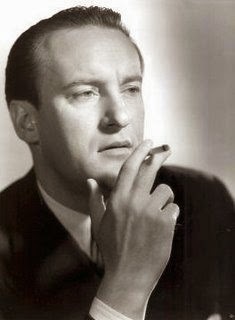 George Sanders played The Saint. The debonair troubleshooter seemed like an ideal candidate for the silver screen and Hollywood came calling in the late 1930s. Louis Hayward became the first actor to play Simon Templar in The Saint in New York (1938), based on a 1935 novel. It's a respectable "B" picture, though I prefer RKO's follow-up Saint films starring the always suave George Sanders. Sanders starred in five Saint films before departing to play a similar detective called The Falcon in another RKO film series. Additional actors who played The Saint on the big screen include Hugh Sinclair (who was quite good), Jean Marais, and Val Kilmer. On the radio, The Saint was voiced by Vincent Price, Tom Conway (Sanders' brother), Brian Aherne, and others. 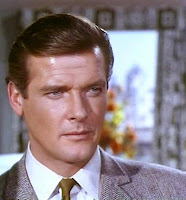 Roger Moore as Simon Templar. However, the man that came to own the role was Roger Moore. Surprisingly, Moore was not the first choice for the lead in the 1960s television series The Saint. British TV mogul Lew Grade, who owned the ITV network, originally wanted Patrick McGoohan to play Simon Templar. However, in Burl Barer's comprehensive book The Saint: A Complete History, producer Robert S. Baker said: "We had a talk with Patrick, but we didn't see eye to eye...He 's a marvelous artist, but we thought he didn't have the right sort of panache for The Saint. He didn't have the humor. We wanted to do the show slightly tongue in cheek, we had to have plenty of humor." 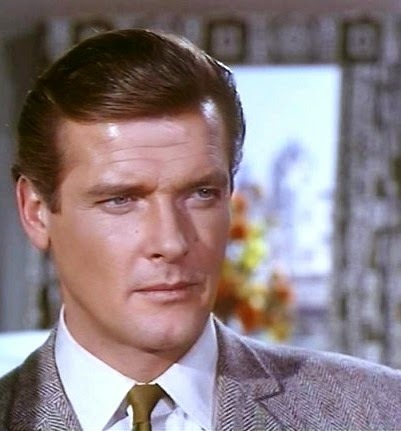 Despite his youthful looks, Roger Moore was a 35-year-old film and TV veteran when he became The Saint. His best-known previous role was as Beau Maverick in the Western TV series Maverick (he essentially replaced James Garner during the show's final year). Prior to that, he had starred in two other TV series: The Alaskans (playing a character called Silky Harris) and Ivanhoe, based on Walter Scott's novel. Moore slipped into the Simon Templar persona effortlessly. Whereas some actors grow into a role, Moore was seemingly born to play The Saint (although his TV character aligned more closely with Charteris' later books as opposed to the earlier ones featuring a tougher Templar). The first season of The Saint quickly establishes that Simon Templar is both well-known and independently wealthy. In fact, many episodes start with someone recognizing him as "the famous Simon Templar"--at which time a halo appears above his head and the credits roll. The third episode, "The Careful Terrorist," introduces a gruff sidekick named Hoppy (Percy Herbert)--but Hoppy is never seen again. Instead, Simon solves crimes and helps people in need on his own. This meant that Roger Moore was the only series regular for the show's entire run. The only recurring character of note is Templar's nemesis, Inspector Teal (Ivor Dean), who appears in 24 episodes. Julie Christie in the episode "Judith." Since Templar was not strictly a detective, the plots could vary widely. Thus, any given episode might find The Saint uncovering a devious scheme to poison a friend ("The Talented Husband"), dealing with kidnappers ("The Latin Touch"), stealing the plans for an invention ("Judith"), or recovering counterfeit plates ("The Work of Art"). By the mid-1960s, The Saint began to reflect the influence of the James Bond movies and The Avengers. In "The Helpful Pirate", British intelligence sends Simon on a mission. And in one of my favorites, "The House on Dragon's Rock," Simon confronts a mad scientist and his creepy creation in Wales (think Them!). There was even an episode about the Loch Ness Monster—which was a popular “guest star” in many 1960s British TV series (e.g., The Avengers, Stingray). 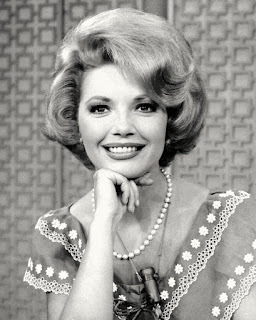 In the U.S., The Saint originally aired as a syndicated TV series, often showing after the local late news. 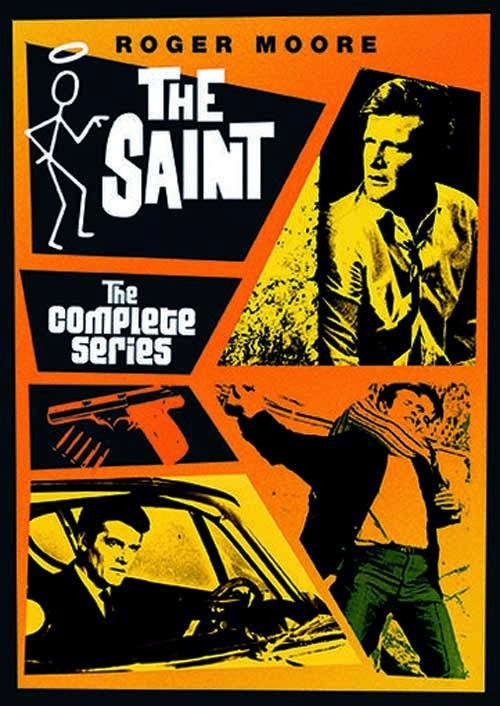 In 1967, with the spy craze fueled by the 007 films, NBC picked up The Saint as a summer replacement series. Its ratings success led to a regular spot on NBC's midseason schedule. The later Saint episodes were filmed in color and shown in over 60 countries. By then, Moore had expanded his role to unofficial co-producer and occasionally director. When The Saint ended its run, Lew Grade paired Roger Moore with Tony Curtis in a similar series called The Persuaders. Unfortunately, the two actors never clicked and The Persuaders, which only lasted one season, wasn't very good (though it featured a cool John Barry title theme). Moore, of course, went on to play James Bond--a career move that even eclipsed his success as The Saint. 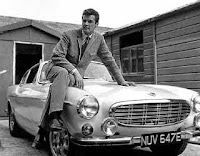 Simon and his Volvo P1800. The guest stars, the plots, and Simon's iconic P1800 Volvo coupe (with the "ST 1" license plate) are all excellent reasons to watch The Saint. 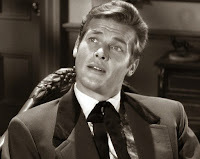 However, you really need just one--and that's the likable, charismatic Roger Moore. Timeless Media Group provided a copy of The Saint DVD set for review. My favorite of the British imports! I love Roger Moore and always wondered why he wasn't signed up as James Bond earlier. Excellent overview of this fine, fun series, Rick! 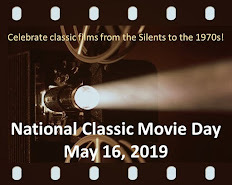 Growing up in the 70s, I used to catch the color episodes (never the black and white ones, for some reason) in syndication and always found them exotic and stylish good fun. I agree with you that the role of Simon Templar fits Roger Moore like a glove and his particular brand of charm and suavity is shown to its best advantage in this series (though I'm also quite partial to THE PERSUADERS). This is a fun series that was a cut above because of Roger Moore, who was debonair and quite handsome. The episodes aren't always even but are mostly entertaining. I also really liked the Volvo coupe! The Summer of MeTV Blogathon is Coming Soon! The Greatest Stars of the 1950s Poll Is Here!